Approximately 17" from head to toe. Polyester fibres - surface washable - all new materials. 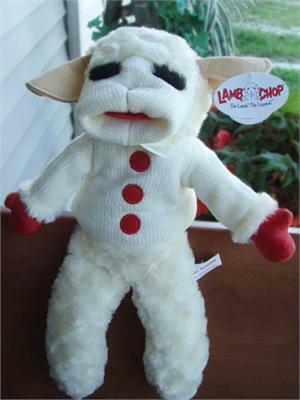 Hand opening in back to make her arms, head, and mouth move.. just like the real Lamb Chop. She may be 50 years young, but Lamp Chop is still a cutie, no matter how old you are!